The United Nations published this week a compelling report on the investments in the green energy / clean tech sector last year. This shows that a real green New Deal is under way. No less than $155 billion (110 billion €) have been invested last year in low carbon energy sources and efficiency. All this money added to the global grids 65 GW of solar, wind, hydro and other renewables. This “arms race” will most likely continue for decades as many countries like India and China have plans to increase their reliance on these technologies. 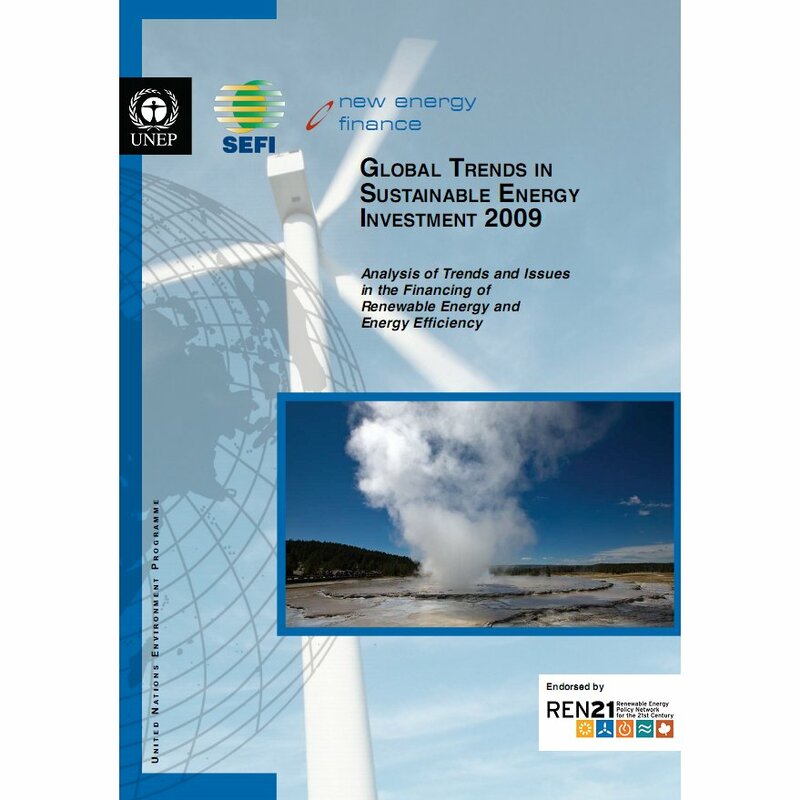 The year 2008 was another milestone for investment in sustainable energy, especially in view of the difficult overall investment climate. A total of $155 billion was invested in companies and projects globally, a more than four-fold increase on 2004. As compared with 2007, however, investment growth was only 5%, in stark contrast to the growth rates of over 50% in previous years (see Figure 1). This was mainly due to the global financial crisis, which had a significant impact on investment in the second half of the year : investment in the second half of the year was down 17% on the first half, and down 23% on the inal six months of 2007. Investment in new energy generation projects (wind, solar, biofuels etc.) grew by 13% during 2008, to $117 billion, and new private investment in companies developing and scaling-up new technologies, including energy efficiency, increased by 37% from 2007 to $13.5 billion (see Figure 2). Other types of finance decreased. Capital raised via the public stock markets for equipment manufacturing and project pipelines fell 51% to $11.4 billion, as clean energy share prices lost 61% of their value during 2008. Total transaction value in the sustainable energy sector during 2008 – including corporate acquisitions, asset re-financings and private equity buy-outs – was $223 billion (see Figure 2), an increase of 7% over 2007 . While the sustainable energy sector was showing signs of being negatively affected by the global financial crisis, it was not until the start of 2009 that the full impact was really evident. In the first quarter of 2009, new financial investment fell by 53% to $13.3 billion compared to the same period in 2008, the lowest level of quarterly investment for three years. There were some ‘green shoots’ of recovery during the second quarter of 2009, but the sector has a long way to go this year to reach the investment levels of late 2007 and early 2008. For more please check out the executive summary or the full report (subscription necessary apparently. You may also read the excellent article from Live Science, which brings a lot of data.